Designed in UK & Canada, and manufactured to our specification in our factories from premium cedar wood. 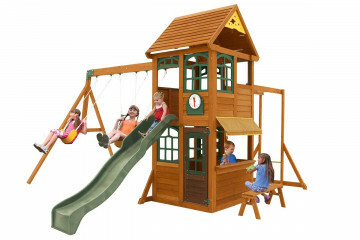 Next Generation Climbing Frames are a huge step forward in wooden climbing frame design. 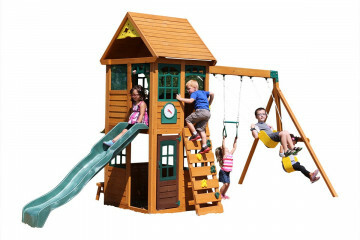 Great play features, premium cedar construction, and pre-assembled wall and roof panels mean your Selwood Climbing frame will be quick to assemble, fun for your children, and durable. 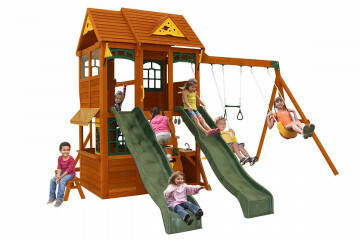 Amazing Play Features - We specialise in wooden climbing frames, so we ensure we design our playsets with as much play value as possible. 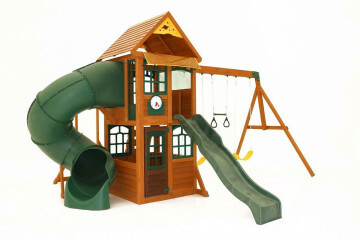 Including a selection of swings, slides, playhouses monkey bars, we are sure to have something to suit you, your garden and your budget. 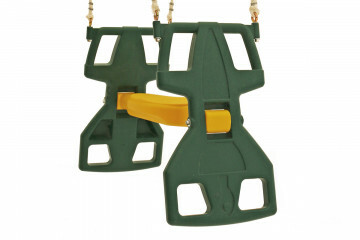 40% Faster Build - Up to 40% faster than Classic style wooden climbing frames, our Next Generation Climbing Frames use advanced design and engineering to ensure they are more rigid and stable. We also pre-assemble the wall and roof panels, making home-build faster and easier. 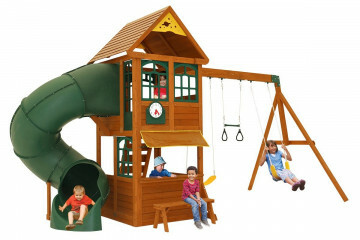 Largest Play Decks - The play deck on Next Generation Climbing Frames is now 109cm by 109cm. 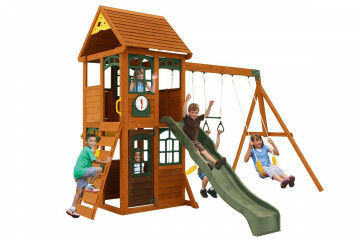 Larger than classic climbing frames, and many competitors products.